Thanks for the great post, truly interesting. Now here I might say something stupid, please excuse me I only know so much about R.
I can understand differing number of rows being a problem when merging data.frames (rbind, cbind) but not in this case; I have different number of tweets for each city, so what? I am not sure why but I suspect it has to do with that [1:nrow(city.tweets),]. Anyways, thanks very much for your time, you will find the code below. May I ask what does consumerKey and ConsumerSecret referring to? Hello, can you please guide me how did you manage to sort out the error because I am also facing the same one. i got the same error what to do? 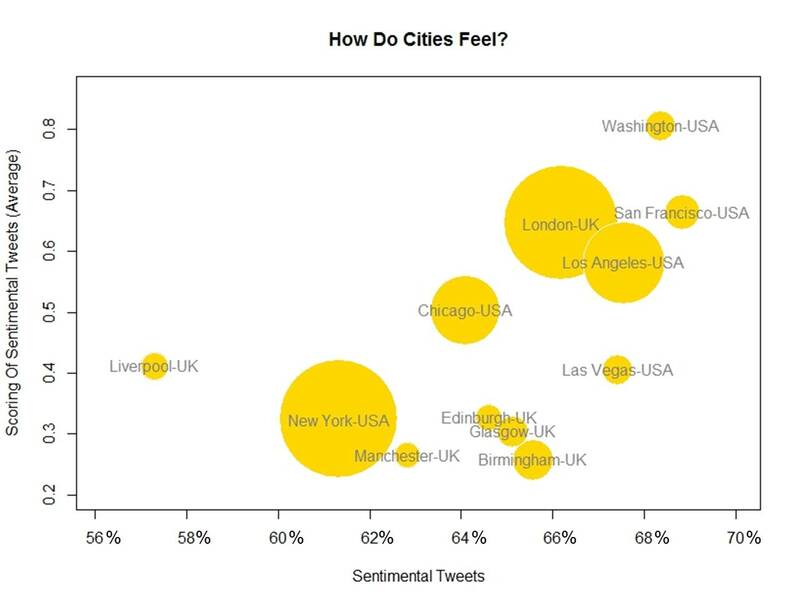 cities.scores=score.sentiment(city.tweets$text, hu.liu.pos, hu.liu.neg, .progress=’text’) – does this help? I had the same problem when I did it so I stored tweets during a few days to accumulate enough information to do my experiment.